Netflix has released a new featurette on the making of Daredevil season 3. 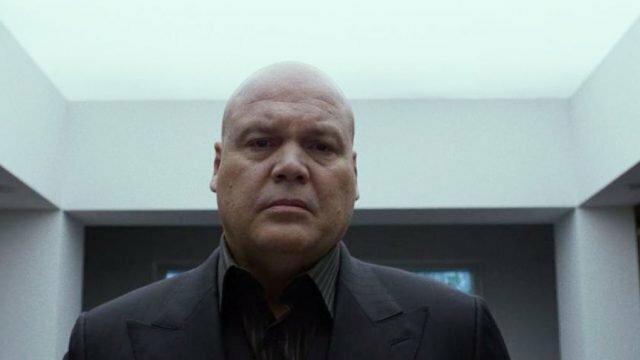 The two-minute clip primarily focuses on Vincent D’Onofrio’s portrayal of Wilson Fisk. This season, he will be fully embracing his dark persona as the Kingpin of Crime. The character was previously incarcerated at the conclusion of the show’s first season. However, he made a surprise return for two episodes during the second season. In his last appearance, it was heavily implied that Fisk had figured out Matt Murdock’s alter ego. This perfectly sets the stage for this season’s adaptation of the fan-favorite Born Again story arc from the comics. The new video highlights new footage from the upcoming season along with interviews with D’Onofrio and Charlie Cox (Matt Murdock/Daredevil) in costume. It’s worth mentioning that even when out of character and speaking in a friendly cadence, the sight of D’Onofrio in Fisk’s iconic silk white blazer still manages to send shivers down the spine. You can watch the video via YouTube below, then let us know what you think in the comments. All 13 episodes of Daredevil season 3 will be available to stream this Friday, October 19.